This week we cover a topic that needs to be put to bed. Do high protein diets cause kidney damage as many claim they do? First of all, what a ‘high protein’ diet looks like is very much up for debate – The current recommended intake for the general population is approx. 0.8g per kilogram (g/kg/bw), i.e. this would equate to roughly 64g of protein for an 80kg individual. Therefore anything above this could be deemed as ‘high’. In general, the more physical stress placed upon the body,the greater your protein requirements become. In this case, the International Society of Sports Nutrition would suggest that it’s within the range of 1.4-2g/kg/bw for more athletic and active individuals. In this case, the same 80kg individual would now require 112g-160g of protein per day. It’s been postulated that high protein diets place additional stress on the kidneys via increased glomerular filtration – this in return causes kidney damage. 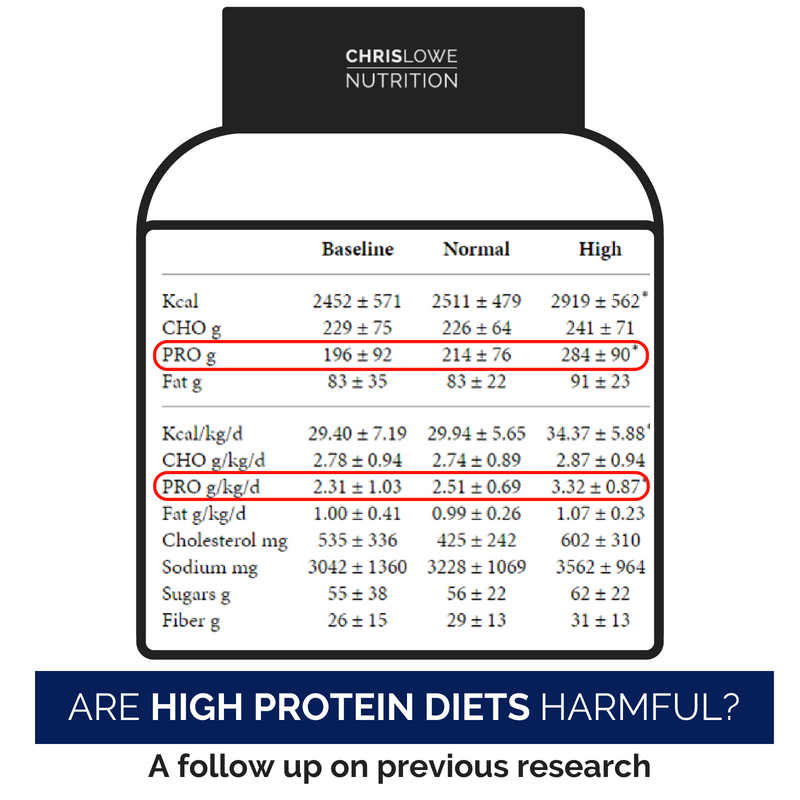 In healthy individuals, this appears to not be the case – which has been demonstrated in a year long study by Antonio et al (2016) following individuals with very high protein intakes; 6 months following a high protein diet, followed by 6 months following a very high diet. Considering that a protein intake between 1.4-2g/kg/bw is ‘high’, participants habitually followed a high protein intake of approx. 2.3-2.51g/kg/bw before further increasing their intake to 3.32g/kg/bw. Which is over 4 times the recommended intake of 0.8g/kg/bw. Interestingly, five of the participants carried on for an additional year (Antonio et al, 2018). During this year, they were instructed to eat over 2.2g/kg/bw of protein per day. On average the five guy’s averaged 3.5g/kg/bw where the range lied between 2.6-5.8g/kg/bw. During their 6 month check ups, kidney and liver function remained the same wit no change in blood glucose. Year 1 = 293g (3.2g/kg/bw). Year 2 = 305g (3.5g/kg/bw). It should be noted that the participants did self-report their own food intake which is also up for debate with regarding their accuracy and reliability. However, even if they were off by 100g of protein per day on average, it’s still much greater than what is recommended to support their training needs. In addition to this, diet quality can assume to be good which can be highlighted by their adequate fibre intake. 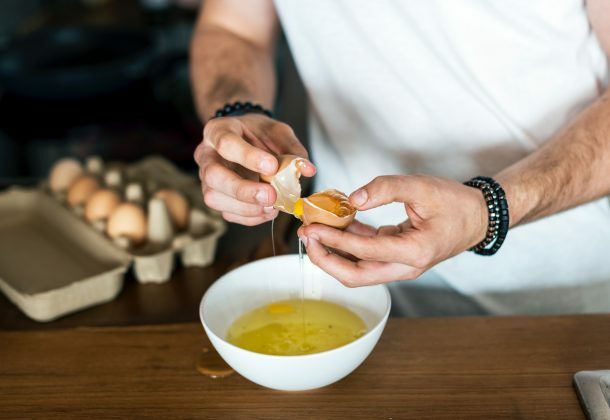 Within healthy male individuals with healthy kidney function who train regularly and consume a nutrient dense and a moderate calorie diet – it appears that very high protein diets have no harmful effects. It should also be noted that this IS NOT the case for all populations such as individuals with chronic kidney disease as the increase in glomerular filtration may worsen the condition. Population specific guy’s.